In space, of course, you can’t have any fires because there isn’t any oxidizer (i.e. oxygen) to sustain the combustion process. 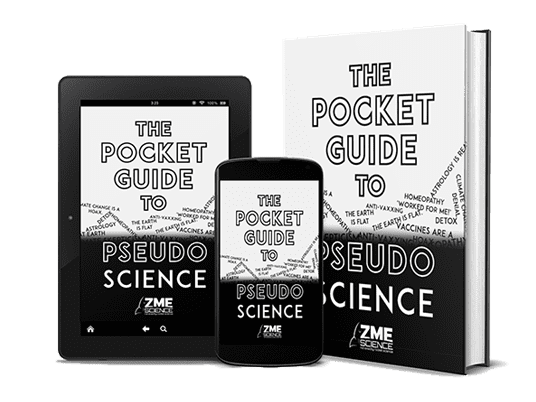 Inside a spacecraft or in the International Space Station, however, things are a bit different: you have the same air mixture as on Earth, but because gravity is millions of times weaker, an open flame behaves significantly different. 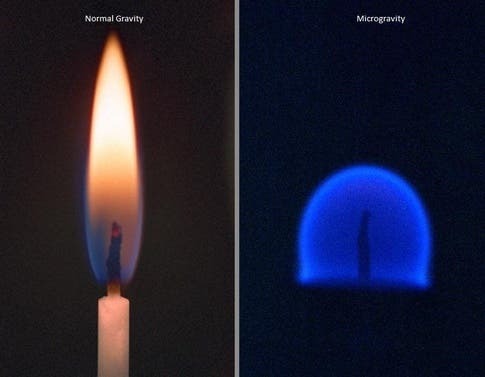 Left: a candle flame in normal gravity; right: a candle flame in microgravity. Image: Science. First, let’s see how combustion works here on Earth. Imagine a big bonfire, beautifully blazing away in the mountainside, with you and your best friends roasting some marshmallows. For a moment, you ponder the fire itself. How does it all work? As carbon and oxygen molecules revolve around your head, you begin to understand. As the fuel (wood) burns, it heats the air around it making it less dense. Because gravity pulls down anything with a higher density, the hot air travels upwards and leaves the vicinity of the fire, which is very convenient. With the hot air gone, fresh air is drawn into the gap providing a new source of oxygen-rich air. This is called buoyancy and is what makes the flame shoot up and flicker. Thus, the cycle continues until all the fuel is used up. In microgravity, however, things are a lot different. In microgravity, there’s no updraft and oxygen is drawn into the flame through a completely different mechanism. The first such experiment was performed in 1997 aboard the Columbia shuttle. 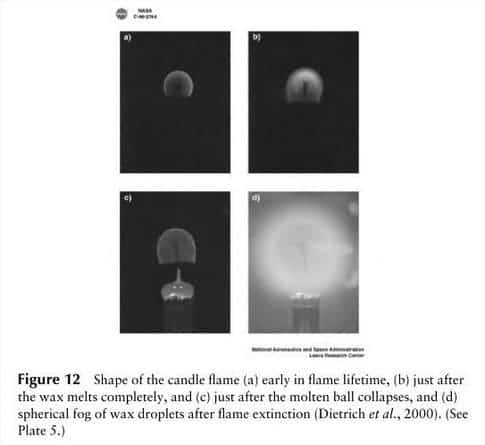 Called Structure of Flame Balls at Low Lewis-number (SOFBALL), the experiment consisted of a sealed chamber where flames flying onboard the space shuttle can burn for a long time. A schematic diagram of a flame ball. Credit: Paul Ronney. 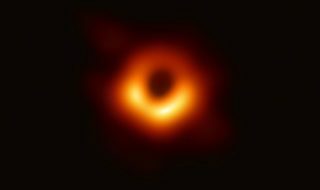 The first thing scientists noticed was the shape of the flame. While on Earth a fire’s flame is elongated, in microgravity it is spherical – like a fireball. That’s because the spherical flame is fed by the slower process of diffusion, so the flame occurs at a border between fuel and air; effectively the entire surface of the flame is the “bottom”, reacting with fresh air close enough to the fuel source to combust, in a rough sphere. 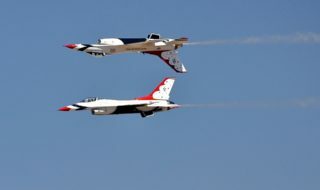 Because exhaust gases like CO2 can’t leave the combustion area, by the same dictum, the outward diffusion of combustion gases can limit the inward diffusion of oxygen to an extent that the zero gravity flame will die a short time after ignition. You might have also noticed from the pictures in this article that fire has a different color in microgravity. When a candle burns, it’s being consumed molecule by molecule. Sometimes, the fuel — long strings of carbon — gets pushed upwards where it burns like charcoal, glowing yellow. Without gravity, the carbon strings don’t get burned, and the flame is blue, cooler, and much much dimmer. Studying fire in microgravity can render some important practical insight. For decades engineers have been trying to build internal combustion engines that run on a lean mixture of fuel and oxygen, which should produce something like a flame ball in space. If you could burn a leaner fuel mixture in engines, you could get higher fuel efficiency and lower pollutant formation, says Paul Ronney, a combustion researcher at the University of Southern California who conceived and helped design the shuttle flame experiments. 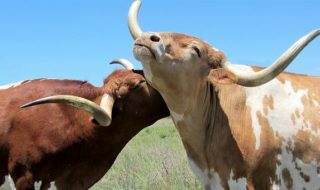 Because the chemical reaction rates involved in combustion are very sensitive to temperature, if you increase the temperature by 10 percent, the rate more than doubles — and the rate at which some pollutants form increases thirteenfold, particularly the oxides of nitrogen that make our skies brown. Then, of course, there’s the issue of safety. 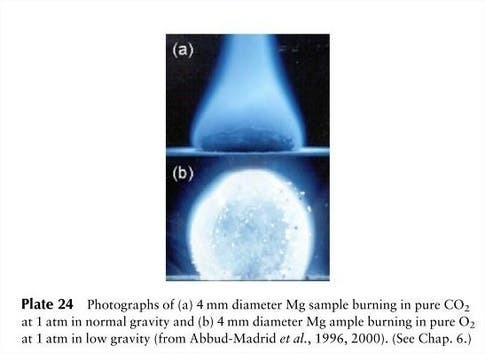 Because fire behaves considerably different in microgravity than in Earth’s gravity, studying fireballs is very important to designing safety measures and systems. For instance, if a candle is burning on Earth you might think about stomping it to put down the flame. If you were to do that in a spacecraft, you might accelerate combustion, at least temporarily, because you are creating an airflow that did not exist before. Flames in low-gravity tend to spread slowly, so stomping might cause a flame to jump to something else when it wouldn’t have otherwise. Furthermore, flame balls are stealthy: they give off no smoke and little or no visible light. It’s very hard to extinguish something you can’t find.